Once you've found the perfect lip liner, the last thing you want is to waste it -- piece by piece -- from sharpening. Most lip liners have a waxy texture, which makes them perfect for preventing lipstick feathering. It also makes them prone to crumbling. 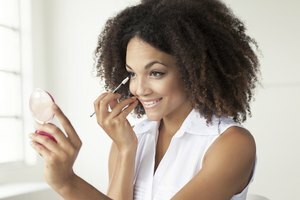 Fortunately, a little clever prep will give you a sharp point on your liner, a clean lip line and less mess in your sharpener. 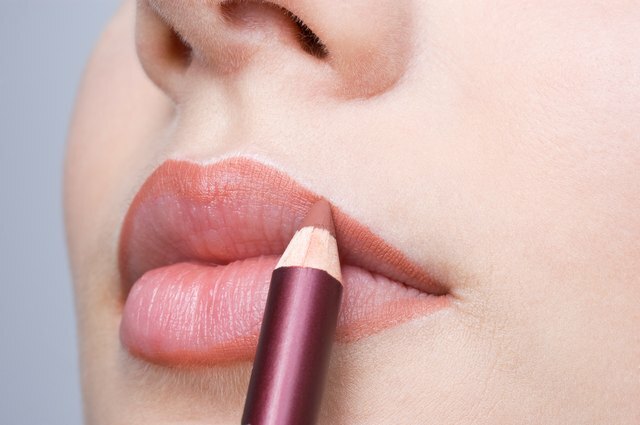 Place your lip liner in the refrigerator for two hours or in the freezer for 10 to 20 minutes. When your liner is cold, it has a firmer texture and will be less likely to break against your sharpener's blades. Choose a sharpener specifically designed to sharpen lip liner and other cosmetic pencils. A typical classroom pencil sharpener is designed to handle hard pencil lead, not waxy liner. Sharpen your lip liner by pressing the liner lightly into the sharpener opening and using an even twisting motion against the blade. Pressing too hard will cause the tip of the liner to break off and become wedged in the bottom of your sharpener. Replace your sharpener if your lip liner continues to break when you try to sharpen it. When the sharpener blades are dull, they will press against your liner and break it rather than shaving it to a clean point. Soften the liner before applying to your lips by drawing a few dashes or circles on the back of your hand or in your palm. Apply your liner along the edge of your lips to prevent lipstick feathering or all over your lips to add staying power to your lipstick.